Beautiful outdoor living spaces add charm, character, and value to your home. When you drive down any given street, your eye immediately goes to the home with the most beautiful landscaping. It's a source of pride, not just for the owners, but for the entire neighborhood. Give your own home a chance to shine by framing it with custom landscaping. 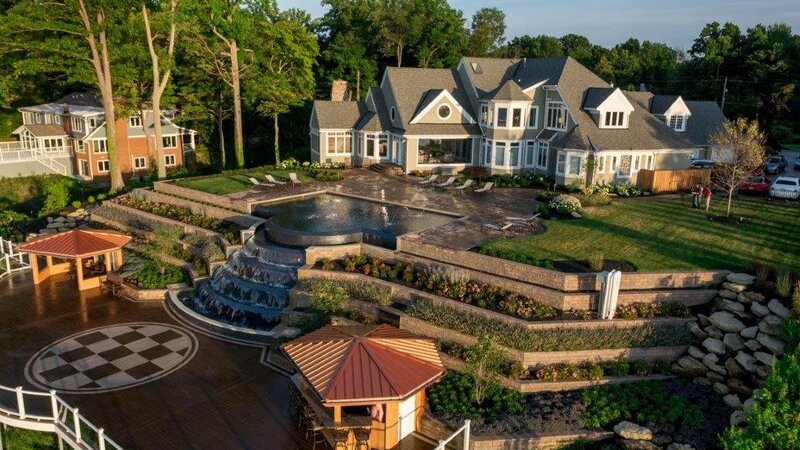 Although beautiful landscaping may appear effortless, it's the result of thought, planning, and excellent execution. We've put together the 5 things you need to create the beautiful outdoor living spaces you're looking for. 1. A creative landscape design architect. You have a general vision of what you want, and maybe you even have some specific ideas. But a creative, experienced landscape design architect can take your ideas and create a design that will reflect your tastes and lifestyle within the constraints of your available space. It's difficult to visually place your ideas into your existing space, and you may be unaware of important considerations, such as drainage, appropriate plant selection, hardscaping techniques, and materials. Use the skills and experience of a landscape design architect who can help you maximize your landscape's potential. 2. A phased master plan. Before you dig your first shovel-full of soil, make sure you have a master plan. A landscaping master plan takes your entire property into account and ensures that all components fit together harmoniously. Most people tackle their landscaping in phases, and this is a great idea when considering your budget, the imposition on your household, and the seasonal growth of certain plants. But don't design just one project at a time. This short-sighted method often leads to bigger inconveniences (and expenses) later. For example, if you build a patio where your driveway extension must go in the future, you're looking at the expense of tearing up perfectly good materials. Start with the end in mind and create a phased master plan. 3. A properly aligned budget. Along with your phased master plan, make sure you have a comprehensive budget before you get started. If your master plan involves a stunningly beautiful pergola that you'll never be willing to pay for, the whole design will be disrupted. It's important to understand the full costs of all aspects of your master plan before you begin developing your plan. Otherwise, you'll get discouraged when unanticipated costs arise along the way. Any reputable landscape design company will give you a full budget up front. Failure to produce a comprehensive budget should be a red flag to you. 4. Amenities that fit your lifestyle. Your landscape design architect brings you plans for a gorgeous design full of beautiful outdoor living spaces. The problem is that it would be perfect for someone else. This design contains a spa, and you hate sitting in public waters, and it also contains several pine trees, which you're allergic to. That's why it's important to consider your lifestyle, preferences, and outdoor activities before the landscaping design architect begins his or her work. Be up front about your preferences for pools, spas, outdoor firepits, patios, plants, colors, lighting, grills, irrigation systems, and more. 5. A qualified landscape installation company that can support seasonal maintenance. Creating the perfect landscape environment requires a significant investment. You'll want to hire a company that pays attention to detail, assures the very best quality in materials and craftsmanship, and has the resources and skills to handle ongoing maintenance. 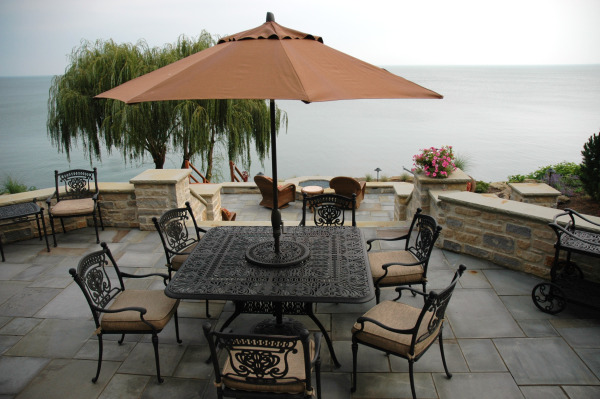 We're confident we can design and install beautiful outdoor living spaces to enhance your home. Soon, your home will be that "one" that people appreciate when they drive down your street.